Learn from real people, just like you, how therapeutic journaling can benefit your life. 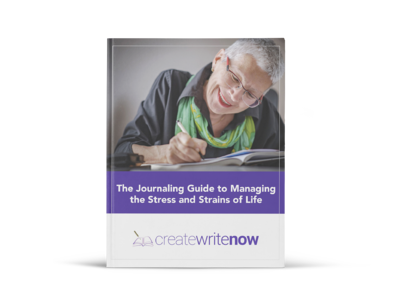 Within these personal stories you’ll find journaling tips, tricks, inspiration and ideas that help you structure your journaling practice—and discover the true value journaling can bring to your life. Find the inspiration to keep going and the motivation to make journaling work for you and your hectic schedule. Learn about these everyday people who made the decision to put pen to paper and how it transformed their lives! Have a problem getting back into or staying with your Journaling Power Practice? CreateWriteNow provides 300+ unique, soul-searching journaling power prompts here that will inspire your Muse and jumpstart your word flow. Journal Prompts #359 - Just Write It! Have a discussion with your Journal on the best way to get and keep your Journaling Power Practice up and running. Journal Prompts #351 - A Gift For Y.O.U. Maybe a good goal for the new year? Work on an action plan or to do list or... with your Journal to see how you can make some progress on this issue. #WriteON! You can use your Journal for any reason and/or for no reason at all. You can doodle, rant and rave, problem solve.... Go ahead, do something with your Journal you've never done before. #WriteON! Talk with your Journal about some recent realizations you've had about your health, your happiness, your healing.. Describe the happiest moment of your life thus far. Journal Prompts #327 - C Is For Comfort and Care? Put one of these words in a sentence and use that sentence as a journal prompt when you need one. Do you suffer from this ailment? Your Journal can write you a prescription, I'm sure. Looking for inspiration? Use these journal prompts! Submit your 400-600 word blog post to: Mari@CreateWriteNow.com Include a personal pic and brief bio. We'll publish it here and on Mari's Journaling Power Blog.